trampoLEAN is excited to host your next important event. 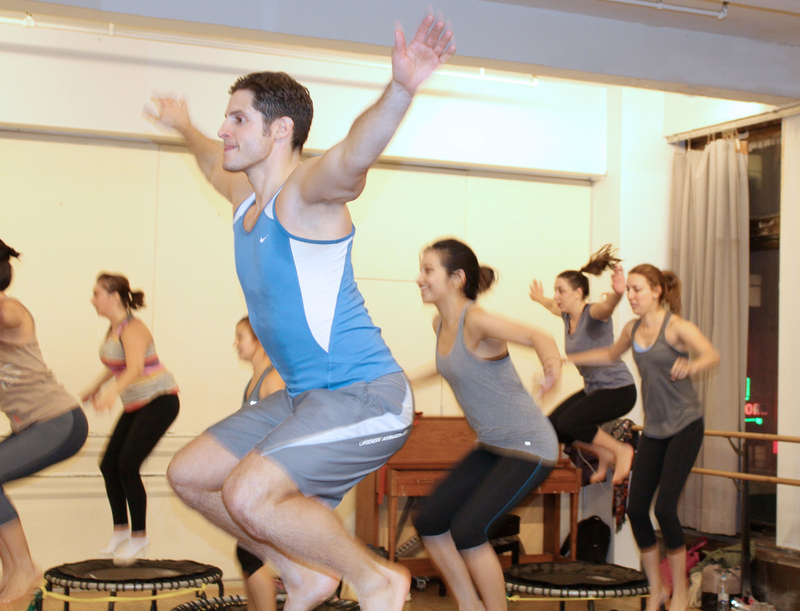 Our high-energy & low-impact fitness classes are supportive, up-beat and encourage people to shed their inhibitions. Scheduling a health event to celebrate an occasion, increase team building or socialize are all in vogue. Our speciality classes can accommodate groups up to 20. We love hosting the following private group classes, Women's Only Workouts, Birthday Parities, Work Events, Bachelorette Parties, Kids Parties and Sports Themed Classes. Here is information about each private group fitness class. Existing clients love trampoLEAN classes so much they organize a private class to share it with their co-workers & colleagues. We receive requests to participate in corporate events called "Gym Crawls". Private group classes improve team building and keep people healthy. At trampoLEAN we are known for our upbeat playlists and fun team exercise spirit. Having a fitness party instead of birthday drinks is a growing trend, it's one of our most popular requests. All fitness levels are welcome. We’d love to celebrate your next birthday gathering. Our trampoLEAN class is like a dance party. You can have fun sweating and getting your groove on with your friends. Continue your wedding day fitness training surrounded with friends. This private class is an excellent way to start or end your bachelorette party celebration. Instead of eating & drinking with your colleagues and friends, how about sweating with them. A special holiday playlist is designed per your request. Sweat it out to your favorite holiday songs. Make this a annual holiday gathering tradition. The athletic nature of trampoLEAN class will help inspire your group to tap into their inner athlete. We have hosted a number of athletic gatherings in the past for lifeguards and fitness enthusiasts that are on the hunt for a performance based class with a sports edge. Get the ladies together for a fitness class catered for a women's only workout. Specialized exercises and routines will focus on sculpting female trouble areas. High energy playlists unite this female only class, creating a fun motivating energy. Exercise routines have a easy to follow choreographed flow. We give children an easy to follow story narrative about trampolines. Play fun children music and make sure everything is very safe while they explore small, controlled fitness bounces. Mommy and me exercise programs are also available.